Nahdat Group recognizes Health, Safety and Environment as amongst the paramount important factors to their business activities and is key determinant in their sustainable development. Adopt the necessary measures to prevent/reduce the environmental impacts of all project activities. Comply with local statutory HSE laws and standards and client safety regulations. Arrange training and promote awareness among the personnel to develop their HSE knowledge and skills and work in HSE compliant manner. A Safety Hard –hat ( Helmet)–to prevent or lessen a head injury from falling objects or a person hitting their head against something. Steel toed Safety shoes – to provide protection for slips, chemical contaminants, static electricity and impact. Coverall (100% cotton).– to protect against any hazards that might be at the working site such as chemicals, oils, dust and dirt. Gloves - to protect hands from hazards such as those from skin absorption of harmful substances. 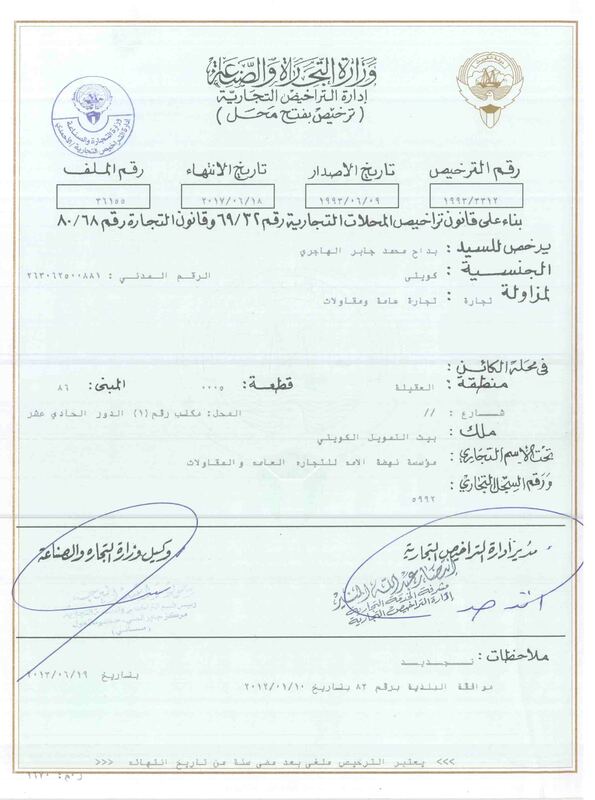 Work Permit - Only authorized persons shall obtain work permit from designated authority. Risk assessment / Job Safety analysis - to be carried out as required by the nature of the job. Warning Tags - like ‘Danger’- ‘Do not Operate’, ‘Men at work’s hall be used as appropriate. Proper training shall be given to employees on all HSE aspects. Periodical safety meetings will be held for safety performance review. Reward / Incentive will be given to encourage / promote best safety performance by the employees.